This level has medium difficulty. For this level try to break the blockers that are in left bottom part of the board by play near to them to shuffle candies to right part of the board. 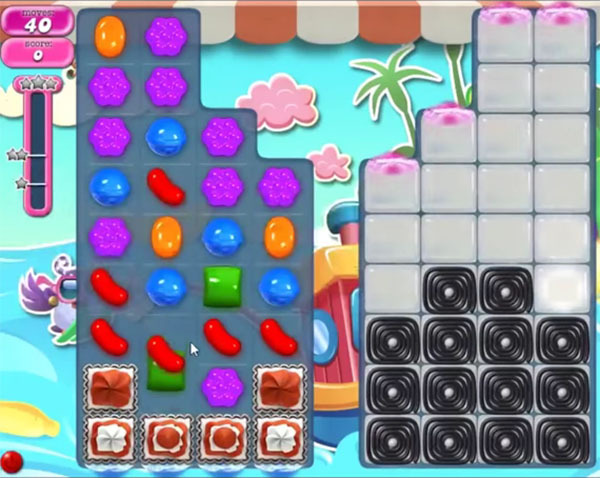 Or make striped candy with colorbomb or wrapped candy combo by play on left part of the board to break the jellies that are in right part of the board. Or play with remaining jelly candy to break them all. The more they try you convince to play another game, the more i don’t want to play any king size game. I can’t even see or hear the word.